My Muni driver was handing out 🍒 earlier today. 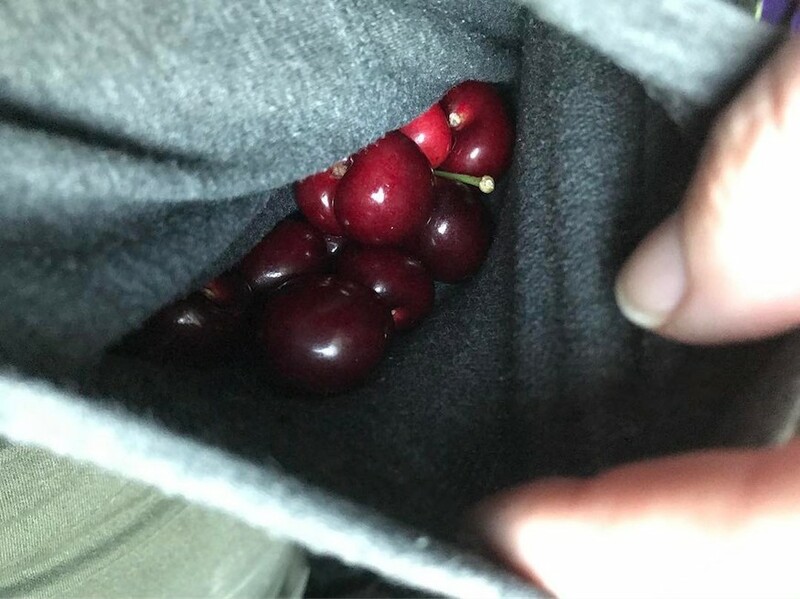 Carried ’em home in my pocket. Love this city. A few years ago a Muni operator told us that he would hand out candy when he’s driving on Halloween night to sooth the mood on the bus if anyone belligerent gets on. So sweet. Do you have a driver story to share? Someone who made your day? Tag us on Facebook, Instagram, or Twitter. Our email inbox muni.diaries.sf@gmail.com is always open!